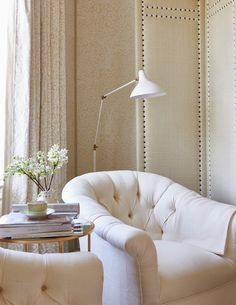 Melinda Hartwright Interiors > Decorating > Whatever happened to…. me? Some of you may have been wondering where I have disappeared to and a number have been kind enough to contact me out of concern and check that everything is okay and say how much you miss my posts and inspiration. That’s been so lovely and encouraging to hear. It’s nice to know I’ve been missed. I thought I should give you an update and an explanation, assure you that we are absolutely fine and I have just taken a break from the digital world. Inspired by Ed Sheeran’s “digital detox”, I discovered having had a break over the Christmas holidays with a trip to visit family in the UK (some photos shared here), that really I didn’t miss it. To be perfectly frank, maintaining social media caused me more stress and anxiety than I had realised and it really wasn’t a necessary or intrinsically valuable part of my day or life. I realised it was putting unnecessary pressure on me professionally and I had enough on my plate without adding to it from the digital world. So I consciously uncoupled from social media and it’s doing me the world of good. I have gained back so many more hours in the day and frankly for me a better quality of life. I am watching my children with my eyes, I am having more conversations with friends and family, I am reading more books and magazines, I am absorbing life, noticing and appreciating things around me and engaging in the real world. Instead of grabbing my phone at any given moment throughout the day when I have a spare second or am bored, and scrolling zombie-like through images which I glance at for split seconds, liking or commenting and replying endlessly, I just stop and find something else to do. I’m more relaxed. I’ve enjoyed the anonymity. It took a while to stop the knee-jerk reaction, but I have taught myself not to do it. I’ve gained perspective back. I feel liberated. I didn’t realise how much I had come to rely on my phone for amusement, distraction, company and entertainment and how it had begun to control me. Professionally, I was also unaware of how much the culture of social media was impacting my sense of self, my confidence, my mood, either lifting me up or putting me down. I was often feeling judged, sometimes criticised, and felt the uneasy pressure of unwanted demands or expectations put on me. Now I’m oblivious to it. I don’t know what anyone else is doing, if they’re doing it better or worse, how many followers or likes anybody has or how I compare. It’s a big weight off my shoulders. Of course, this isn’t for everybody and I don’t judge those who spend time on social media or find it valuable, inspiring or rewarding, who genuinely rely on it for business and work or who derive pleasure from it. But now I don’t wake up each day stressing about what I’m going to post or how to increase my followers! I realised it was a nonsense and only added to my stress related anxiety and health issues which I have been able to manage much more effectively since stopping. Each to his own, that’s what works for me. This may not be forever, but for the time being I’m enjoying the freedom. As for my work, I made some resolutions over the new year about my direction for 2017. I love interior decorating and design, it’s my passion and obsession, it’s my job, my hobby, but I have never been very good at making money from this business and basically persevere because I love it and get a thrill from helping people create beautiful homes. I’m a creative person, not good with numbers and my bottom line can attest to that! I’m self taught and continue to learn every day. I’ve spent thousands of hours over the years teaching myself and learning how to do this better. There aren’t many courses that teach you the business of interior design, and that’s the tricky part. I juggle everything myself between school drop off and pickup. But I can only do what I can do and am not prepared to outsource my kids to a team of nannies. I realised I’m not that driven or prepared to sacrifice my family for my career. I’ve come to accept and appreciate my limitations. So I’ll never be a high end designer with staff and multiple projects every year with huge budgets, or have books, fabric lines or a string of shops. I heard a style expert recently make a disparaging reference to “housewife decorators with an ABN” pretending to be designers, but I’m one and proud of it. I’ve met some wonderful clients and people doing this over the past 5 years, who have been genuinely appreciative and grateful for my help. And had a few amazing mentors who have been invaluable to me. It’s a tricky business to make money in, particularly doing it part time like I do and even harder from Bowral. And as I’ve learned from my not terribly successful ventures last year, I’m absolutely rubbish at retail! I’ve learnt where my strengths are and what I should focus on. I’m confident in my own personal style, I do what I love, I do what I do well and I’m happy to share my knowledge and experience with others. I hope my clients have found me to be a nice, helpful and generous person and got value for money. I’m not precious or elitist about it, (seriously, has a decorator ever been named Australian of the Year or won the Nobel Prize! ), but am just happy to help and share what I know. So my next venture is doing what I do best and what has always been successful, enjoyable and profitable. Renovating. No, we’re not moving! My husband and I are teaming up in business to renovate houses here in the Highlands, and I’m sure we’ll make a good team. He has the left side of the brain, and I have the right. He does the outside and I do the inside. He manages the money and I spend it. What could be better! We have bought an investment property here in Bowral which we are renovating to sell. Along with just about everybody else it seems! It’s going to be done in my style, true to myself! I’m so excited. Picking tiles, designing kitchens and bathrooms, sourcing tapware, making furnishings, picking wallpapers and paint colours is what I absolutely love. It’s a no brainer. Hopefully it will be the first of many. So, I want to thank you for sticking with me. I don’t buy my followers or pay for someone to comment for me. I don’t engineer my posts or work it to get the most likes or followers. I have always simply done what feels right, have always tried to be a truthful and honest version of myself. I hope you have loved what I do and enjoyed being invited into my home and life. I believe you follow me genuinely because you are vested in me and hopefully what I’m able to give to you. I truly value and appreciate the loyalty, interest and kindness you have demonstrated over the years. I am off to work on my renovating budget now, and create something really fabulous and beautiful for someone else to love. I will share the project with you on the blog from time to time as it progresses, and of course the final reveal. That’s a part I do enjoy. I’m even thinking of holding some workshops down here at some point to share my knowledge and help you with your projects. We housewife decorators need to stick together! So please let me know if that’s something you’d be interested in. 57 Responses to Whatever happened to…. me? I love your decorating style but can understand your break from social media – look forward to seeing your photos of the renovation. Decorating workshops sound great! Love your style! all the best I know it will be beautiful. Words to live by Melinda. I have missed your posts but completely understand you taking a step back from social media. Love the idea of workshops and patiently wait to hear more about that. Take care of yourself and your beautiful family. Can’t wait to see the results of the renovation. Well done Mel on a great decision! Family must and should always come first, particularly whilst your children are young. I’m envious of your latest venture, that would be my husband’s and my dream, but we’re in our sixties now, with a few health problems, so not up to it. We’ll enjoy following your progress though!! I would be most interested in any workshops you are planning on holding! I look forward to hearing more about them in the future. This is a lovely post and one i feel will be understood by most people. I always seem to be on my ipad, but in fairness its my kindle and im usuallyt reading – its great to re connect with real people and to speak and not text. Good on you and good luck with the new career path, i can guarantee you wont be sorry. Love jan.
Love your style and will look forward to your next make over ! I’m in love with Hampton’s and all it has to offer ! I do believe you could be part of a new trend – people exiting from social media or at the very least taking a break! It is actually inspiring to read your latest blog. And funnily enough I was just searching over the weekend to see if I had been missing things from you! Your overseas family holiday looks like you all had a beautiful time together and you look relaxed and happy – moments like those and watching your children grow are memories that cannot be recreated, they become missed opportunities. So enjoy each and every moment. I will be watching with much interest the updates on your renovating projects. And yes, workshops with you would be wonderful… so keep us informed if you choose to go down this path. Happy renovating…doing what you love to do. Melinda I love what you do. I think you are incredibly talented. I read your post and felt like I could have written it myself for all the similarities between what we are doing and how you feel about it all. I will listen in for updates on your workshop. Would be lovely to meet you. Best of luck with your renovations. I am also looking into that this year. 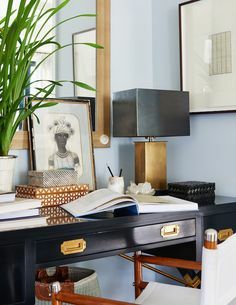 Jane (summerhouse styled interiors). What a heartfelt post. I wish you every success in your venture. You have such a talent I’m sure it will be amazing. I will very much look forward to seeing your posts on your new projects progress. I do something very similar, but with our family homes. Up to reno number 4 and we have done 4 new builds. If its in your blood you simply can’t get enough of it. Good for you Melinda! I think we all get caught in the social media trap and I would be terrified to know how much time I truly waste engaging in it. You’ve inspired me yet again, this time to switch off a bit more! All the very best with the reno – would love to see the before and afters! decorating workshops and here in Bowral… where do I sign up?! In a world of craziness trying to navigate all the should do’s and any the constant critics it is refreshing to read a well educated. Genuine and sincere post. Well done you! Looking things straight on and making the changes you need to make for you and your family takes a lot of courage! I absolutely love your style. Maybe there are no Nobel prizes for designers, but there is still a lot to be said for adding beauty to the world and bringing heart to a home. Best wishes for all that comes your way. What ever you do Mel, wherever you wave your magic wand, is beautiful. I will look forward to your latest project. It is lovely to create beautiful surrounds. It gives people peace and calm in a busy world. Shakespeare said “This above all:to thine own self be true” For it is what we think of ourself that is important. Being there for your children, being a parent, is the most important job in the world. I don’t touch social media for similar reasons to you. I miss my old answering machine. What a great post. I love your warts and all honesty. Interior decoration is a hard slog and it’s not all beautiful room reveals as portrayed. I wish you all the very best with your new adventures on your own terms and look forward to your posts when you feel you want to post. I love your honesty and your words are inspiring. I look forward to your project updates Melinda. You’re the only interior designer I “follow”. I love your style and your willingness to share your experience and impeccable taste. So-called professional stylists are simply threatened by the housewife stylists with ABNs. I can’t wait to see the progress on your new project! Thanks for the honest, inspiring post Melinda – it left me feeling encouraged to really think about what I want in family/career/social life and go for it despite judgement (my own seems worst of all). Good luck with the new venture, sounds really exciting and perfect work for you and your husband. I hope that, despite the social media retreat, a few simple before & after shots will make it onto your blog, or another outlet, at some stage. Please let me reiterate my thanks for your design help two years ago when we bought our first home. I found you after extensive research and after seeing your style I knew I could trust your knowledge and advice. Three cheers to you and your family ! I went to India last year for a yoga retreat and realised that instragram was ruling my life ( my husband was completely over me and my obsession of watching others ) now I don’t post a single thing… I watch sometimes and I think it’s so addictive and really not healthy. Children are only with you for a short time and really you can’t miss a thing. I will look forward to your blogs Mel and I just love your work !! I will miss you on Insta, blog etc as I have always found your work inspirational and have the pleasure of some of your beautiful cushions in my home. I do understand the break from social media and I understand how it rules some people’s lives I think i got facebook about 5 years after everyone else! But you are right to put family first, I wish you every success and look forward to seeing the progress on your new reno. Melinda, I stumbled across your blog nearly two years ago. And, I am so glad I did as you have provided amazing inspiration to me with your exquisite style. I wish you every success for your next venture (and will be eager to hear any updates). Enjoy the precious time you have with your beautiful family, and have fun on your renovating journey. Best wishes! Hi Mel a refreshingly honest post. I too have decided less social media it does takeover checking the phone constantly doesn’t seem to be good on any level. You’ll make a beautiful home for some lucky family. Look forward to your updates Housewife decorators seem to rule these days nothing wrong with that. Go girl. Lovely words indeed. Your trip to the UK must have been lovely and there you were at Windsor shopping centre, not a million miles from where I live! Your style enchants me and, as we recently renovated our kitchen, it was YOUR kitchen which inspired me (sink, taps, worktop, cupboards). I have, however, just costed up making blinds in that fabulous Schumacher fabric and (there are a lot of windows in my kitchen!) am still recovering from the price per metre. It IS fabulous, though. And I would get so much enjoyment from seeing them all day, every day. Hmmmm ….. Carry on enjoying your young children every day. Those years go by all too fast. Brava and best of luck in your new venture! Good luck to you and your husband in your new endeavors!! I miss your posts but fully understand. Our lives shouldn’t be gauged on what absolute strangers think of our photos and I’ve learnt it matters not. I love your style and I’m sure you’re renovation will be wonderful and wish you all the best. Formally trained or not – it matters not! There’s a few things that formal training can’t teach and that’s class, style and good taste, and you Lady…have that in abundance. Keep on creating those beautiful interiors and feel proud. Hi Debbie, I really appreciate your comments and lovely compliments. Very nice to hear. You’re right, we let what others think matter too much and often allow it to influence and shape our esteem and lives. I feel healthier for the break. M.
I so relate to everything you said. How ironic to find the voice to what I have been felling on social media.Our situations are so very similar.I am an interior designer with my own company and I do it all , just like you. I have wonderful clients and am happy to say , have work pretty consistently with ebbs and flows. But like yourself, have allowed the pressure to be visible via social media become a large part of my day and to be truthful, I really don’t care for it and how it makes me feel. Bravo for you to realize that and do something about it. You give me courage to realize my life and work are worth something, even if it is not posted. Wishing you all the best! Thanks Christine, that’s great to hear. The pressure when you have a business to be constantly on social media I found too much negative pressure and just wasn’t worth the stress. It’s so wonderful having the break, I hope you might be able to find some balance too as it can be hard when you need to promote what you do, All the best. M.
‘To thyself be true’ more power to you Melinda! I love your style and thoroughly enjoy your blogs. Your next venture sounds marvellous, we will be here to watch your magic unfold, and applaud you on! Hi Mel, You sound so happy in your post and your decision has taken a huge weight off your shoulders I’m sure! We have been busy finally starting our new build around the corner from you, as I’m sure you’ve noticed! Hope you’re still going to do client consults as I can’t wait until our build gets to the decorating stage! Good luck with your new venture renovating – will be keen to follow that & would love to join you for a workshop when you get that organised! Hi gorgeous lady, I have missed your beautiful posts and kept on searching and have asked various people if you are ok. I’m so glad to see your well and enjoying your life with your family and I look forward to following with you , your new journey, renovating beautiful homes for others to buy. How lucky for the person who that might be. I’m coming to Sydney in July and if you are thinking of having a workshop I would be very interested in coming down to Bowral to attend. So I’ll keep my eye out for any workshops you might post information about in your blog. Or if you could notify me if you decide to hold them. I have always loved your style, you have inspired me and have been so helpful to me on IG. Two years ago I read your blog and I felt it was me who was writing it. I emailed you mentioning it and now two years on I feel the way you do about social media. It takes over our lives and we lose so many precious hours with our families , friends and life. It’s so refreshing to read your article. It has made me realise it even more that life is too precious to spend so much time on phones, tablets and computers oh and television. I worry about our children and their children. They are always on their phones. Well my gorgeous saying all that about been on our phones. I had better sign off and look forward to a beautiful day looking after my granddaughter. I wish you every success with your new adventure. I look forward to following your new renovation and I know you will continue to inspire me in my passion for interior design. Really nice post and glad to know that everyone is fine! I miss your decorating tips and hopefully we could read more about your decor tips in the future! I have just come to see this post from you. I’ve had a weekend off from my very busy cheerleading job, which I absolutely love but still it’s work and it’s nice to take to some “time out”. 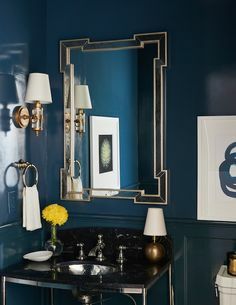 With this extra time on my hands I thought of you because I wanted to see some beautiful home posts and instead I’ve read your latest blog post. I’m feeling that you took that comment on board too much about “housewife decorators”. I also understand how you would’ve done that because my job is also openly criticised or critiqued but rarely anything positive so sometimes I feel depleted and sad because after all I’m only directing and choreographing, along with designing and creating all of the costumes and uniforms for professional Cheerleading. I actually create some really beautiful costumes and uniforms but I too will never receive any grand award or recognition so I do get a little down trodden about it all. But I feel that below the belt comment was made because it’s the love and passion of the “housewife decorators” that are actually making a difference in peoples homes which is taking away from the so called “trained experts” and their very own ego’s. Social media is exhausting and so full of self importance and bragging but your posts were always so pretty and real and came from your heart. I experience the same feelings too. I’m not a bragger and never will be so I know my place in the social media world will also be a very small one. What you do is important to you and it makes every person that you work with feel so much happiness and what’s more important than that. You’ve got nothing to prove to anyone about your very own design eye. Degree or no degree, expert or no expert “Beauty is in the eye of the beholder”. I can’t wait to see what you post next. I’m sure you’re new renovator will be beautiful and not like anything else on the market in the southern highlands! Hadn’t seen you post for a while so came looking. I love your style, you are extremely talented and don’t need legions of followers to tell you that. Only wish you were here in WA to help me! Also hope you do the occasional post of your new ventures. All the very best and enjoys your gorgeous children’s cuddles! Great to hear from you Teri and I will keep you posted about workshops. I’m in the same boat regarding Instagram. It’s veet time consuming. I do love your interior design, so will follow here instead. Are we still able to purchase from you through your blog? Your cushions are the best I’ve found! Hi Louise, I found the whole cushion venture a little too time consuming and the cost and overheads a bit too much, so am focusing on what I am doing now and using my cushions and other accessories to style the houses we renovate. Thanks for your lovely comment though, much appreciated. M.